We've had so many television and movie ads of late, Daily Billboard thought we were long overdue for another FASHION WEEK to celebrate this Fall's sexiest style and beauty billboards. 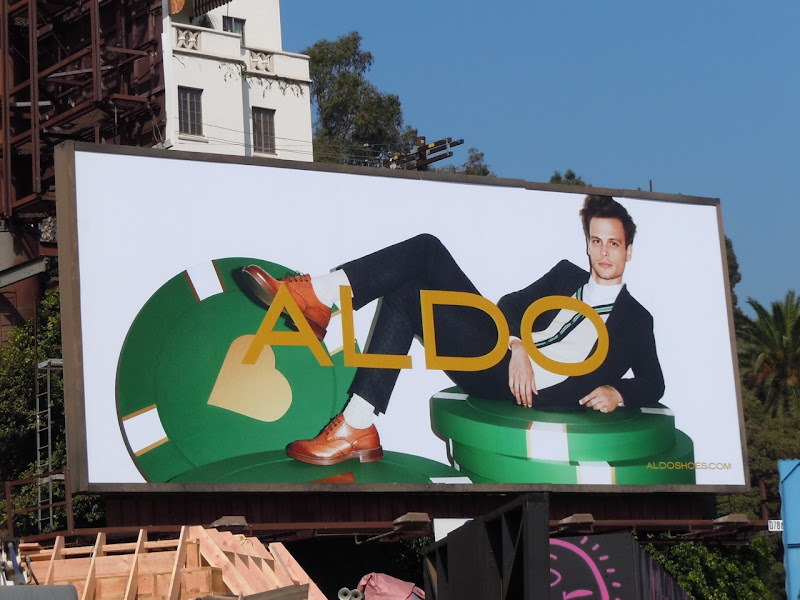 Daily Billboard loves these fun and confident creatives from Aldo Shoes starring model Lily Donaldson and quirky Criminal Minds actor Matthew Gray Gubler. 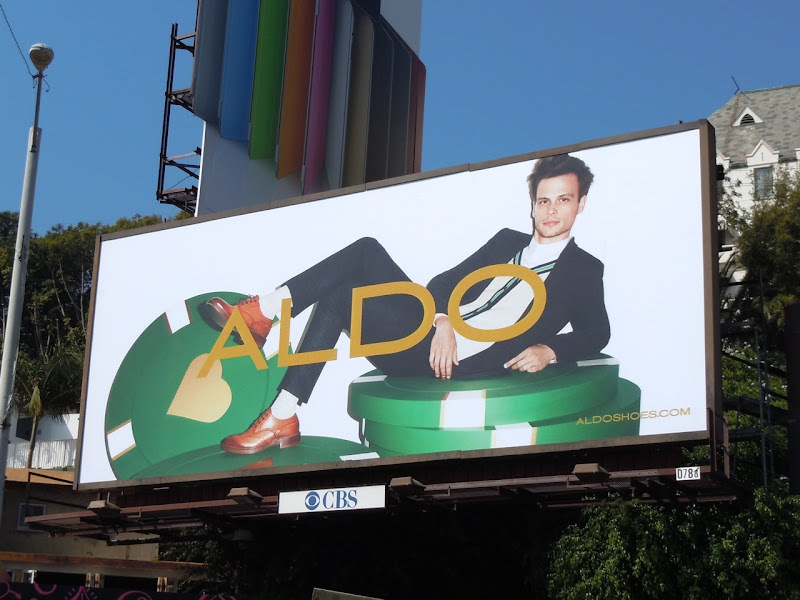 The poker chip billboard was snapped along Sunset Boulevard and the polka dot creative photographed along Melrose Avenue at Highland Avenue on September 30, 2011. If you like these, be sure to check out these other funky Aldo Shoes billboards and stay tuned this week for even more stylish fashion, beauty and fragrance billboards.